True account of one man's experiences when Hurricane Katrina hit New Orleans, post 9/11, this being a Syrian Muslim makes the story that bit more interesting. It takes the American dream (a hard working immigrant with own business and a loving family doing well in the US) and then shows us just how badly a country can treat its own people when things go wrong. As Katrina approaches New Orleans, Zeitoun evacuates his family but decides to stay to look after his business, clients still in town and also properties owned. As the floods come he finds himself in a canoe, paddling around the city helping rescue people, feeding abandoned pets and distributing food and water. After a few days things take an ugly turn when Zeitoun, along with three friends, are arrested for looting, even though they are in one of his own properties. Without giving away too much of the story i found it amazing the complete breakdown within the police force and also the judicial system afterwards, the bus station being used as a processing centre, etc. 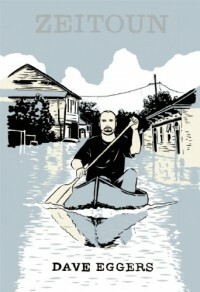 Enjoyable book and learned a lot about Hurricane Katrina and New Orleans that i hadn't known, recommended.